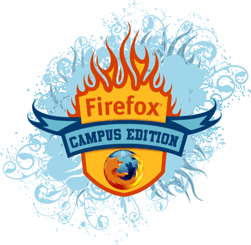 Just in time for the back-to-school season, Mozilla has announced Firefox Campus Edition. It’s the same open source browser as the standard edition, but it comes prepackaged with Zotero, FoxyTunes, and StumbleUpon add-ons. The plugin bundle aims for a better school oriented experience right out of the box, without looking through hundreds of available add-ons – something new users might not be familiar with. StumbleUpon is great for discovering new content, while FoxyTunes acts as both media player and a media search engine. Though I think Zotero is the most valuable of this educational bunch. Pretty amazing, as it captures, formats, and exports citations when available. Of course all that and more could be easily gotten separately. I think Mozilla’s goal here is simply to get more people to try out the browser. And with a fancy school themed logo, there might be a chance that more school administration will at least consider equipping computer stations with Firefox. That would be nice. Though if your school IT overlords still wont budge, there’s always the option of bringing your own portable Firefox on a USB drive. Great find. I personally have those 3 plugins and I think they’re great. I don’t use the FoxyTunes that much but I like the thinking behind it. I hadn’t even saw this yet, good job. Thanks for the information. I’ll try those plugins. You’re doing a great job with your blog. Congrats! Why include Foxytunes? I though this was a _learning_ version of Firefox. My university would not appreciate the use of Foxytunes in the library, and even in the dorms the music would distract from the learning. This seems to be a case of individualism (lets make a new version!) done by slapping every accessory possible onto it. FoxyTunes lets you … find lyrics, covers, videos, bios and much more with a click right from your browser. It would be useful for doing research on music. The Campus Edition of Firefox is most certainly not a case of “slapping every accessory possible”, because there clearly are a lot more accessories to slap on. It’s just something that possibly has more of an appeal to students and/or educators. At the very least it’s gotten bloggers talking about Firefox for schools. FoxyTunes is a great application for university students. Instead of having to switch between iTunes (or winplayer) you can control it in the bottom of your browser. It actually helps you be more productive. My university would not appreciate the use of Foxytunes in the library, and even in the dorms the music would distract from the learning. I can’t take that statement seriously. FoxyTunes is just a controller for a media player, so one still needs to have iTunes (or another media player of choice) installed. A lot of students prefer to study with music, and as Adam points out, the integration of controls lets one stay in the browser — less switching, less distractions, more productivity. So how is a media player targeted at students? This is a _students_ edition of Firefox. Adding bloat to the program with the excuse that it makes _less_ of a distraction is a joke. How so? Chances are, students will have a media player open in the background anyways. Much like working out to music, I also have a separate playlist for studying or doing school work. Of course the plugin could be “abused”. Though then again the browser itself could be taken from the research website to online flash video games. It’s up to an individual student’s discipline to establish priorities. Personally I have a hard time studying or writing without appropriate music in the background. Lately I’ve been listening to the Conan the Barbarian soundtrack. For some reason it helps me concentrate. Firefox knows marketing. Microsoft is clueless in this regard. I think they should’ve left out StumbleUpon! from the campus edition of Firefox. I have Stumble and it’s highly addictive, the biggest time waster I have. That Zotero thing looks very handy though, I’ll have to try it out. I agree with Clay. Stumble does far more harm to ones study habits than help. I realize you can discover great educational things with it, but in doing so you’re probably just procrastinating instead of doing your papers. that’s all it ever really did for me during school. Luckily I’m out now and my time is easily frittered away with no academic repercussions. Wheeee! I wish my school would allows Firefox in it. It’s clear that the Fierfox team is trying to interest schools with this but mine, like many others, just don’t seem to budge. I recieved ISS because I had the installer on my account! I didn’t even install it yet and recieved two days of ISS. This is bull.